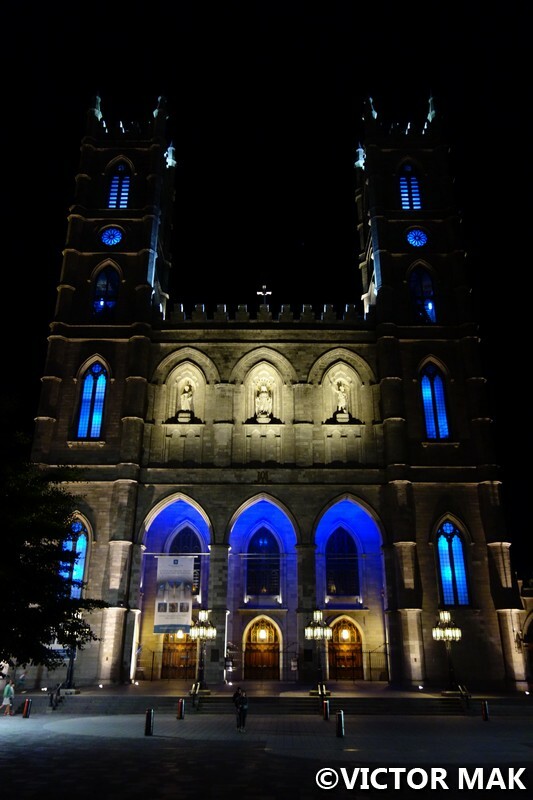 Notre Dame Basilica is located in Old Montreal. The basilica had a few incarnations. The version we see today was designed by New York based architect James O’Donnell, an Irish Protestant. The first stone was laid on September 1, 1824. When construction was finished, Notre Dame was the largest church in North America for over 50 years. O’Donnell is the only person buried in the church’s crypt. Upon his death, he converted to Catholicism. The floor is slanted so the back of the church has a view of the front. Looking at the intricate details was a pleasure. 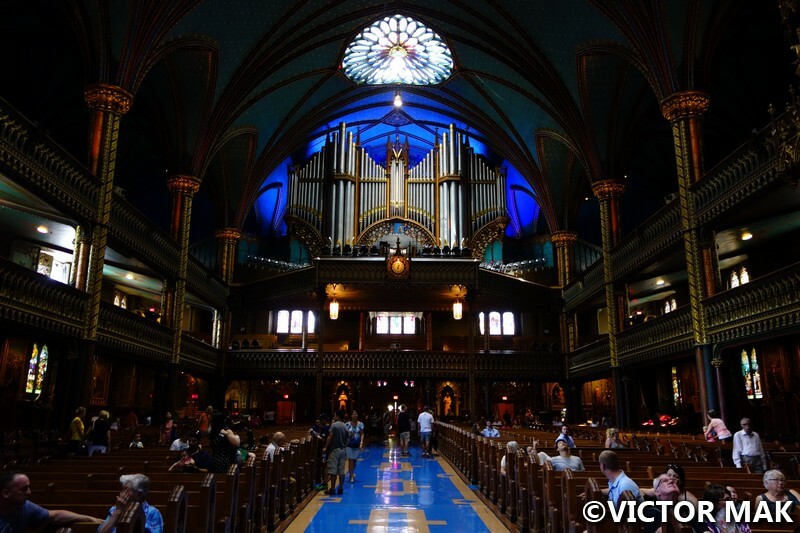 The inside took a lot longer to build and Victor Bourgeau worked on it from 1872-1879. John Redpath, a stonemason, also spent a lot of time working on the church. 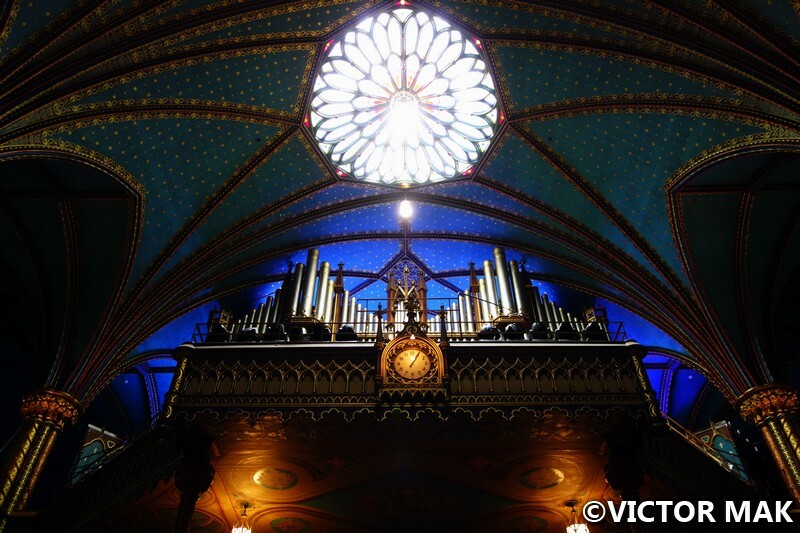 The 32 foot pipe organ was built by Casavant Freres. Work started on it in 1886 and was completed in 1891. It was the first organ with adjustable combination pedals operated by electricity. Chapelle du Sacré-Cœur (Chapel of the Sacred Heart) is a smaller chapel for more intimate sized groups. 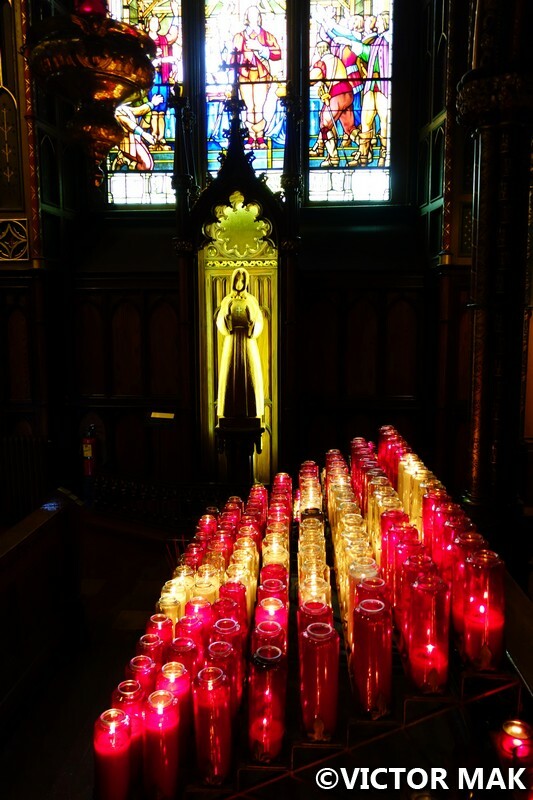 On December 8, 1978 an arsonist set fire to the chapel. It was rebuilt with modern vaulting but the first 2 levels were recreated from photos and drawings. Mass was going on so we couldn’t go in the chapel. We got to walk by and take a peek. One of the basilica’s most famous celebrity patrons is Celine Dion. She married and baptized her eldest here. René Angélil, her manager and husband passed away on January 14, 2016 and his funeral service was held at Notre Dame Basilica. This place is rich in Montreal history and architectural awe. The interior is absolutely stunning. We loved how vibrant and alive it felt yet it still had the tranquility of a church even though they cater to tourists as well. 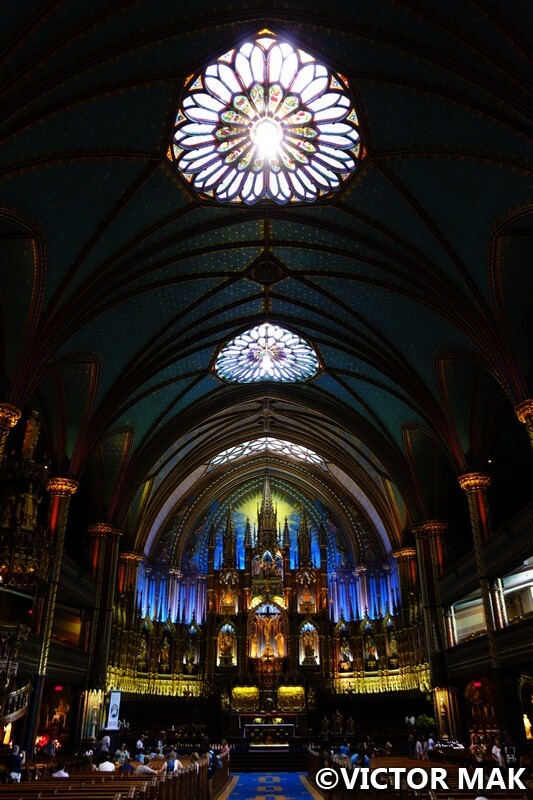 Posted on December 7, 2016 February 4, 2017 by jebusandandrea	This entry was posted in Canada, Cathedrals & Churches, Houses of Worship, North America and tagged Architecture, Canada, Cathedral, Churches, French Canada, Montreal, Notre Dame Basilica, Photography, Quebec, Travel. Bookmark the permalink. Fantastic photos and from interesting angles. I remember visiting this cathedral 16 years ago with a film camera. Still kept those pictures. Your post brings back good memories 🙂 Thank you. Thanks! We love Montreal. We really enjoyed Old Montreal. We like architecture so we were very happy. This church is special. When we first walked in we couldn’t believe how colorful it is. So pretty and the carving in the wood. Amazing. Great photos of great architecture. I love all the detailed woodwork. The woodwork is amazing. Never been inside a church with details like that. The interior was vibrant and we didn’t expect that. It’s touristy but not like ST Patty’s in NY, the one on 5th Ave. One friend said St Patty’s is like the church’s McDonalds. I agree with her, that one doesn’t feel calm or relaxing. Notre Dame had a lot of visitors but it felt like a nice relaxing house of worship. Did you visit the Basilica at night? The lighting is beautiful but otherworldly, like a David Lynch movie. 🙂 The decorative artwork is otherworldly as well, like a movie set. The altarpiece in the chapel is especially striking. Confession: when I’m visiting a church and they’re holding Mass inside, I sometimes slip into a pew and follow along with the service. You don’t have to take Communion; you can always slip out just before they start lining up for the host and wine. Generally, I enjoy hearing the music if they’re playing any and listening to the sounds and voices echo inside. I feel like I’m part of an ancient ritual and I can feel the history of both the place and the words. Visited during the day and walked by a lot at night. The inside is amazing. The detailed carving – exquisite. Good tip on mass. 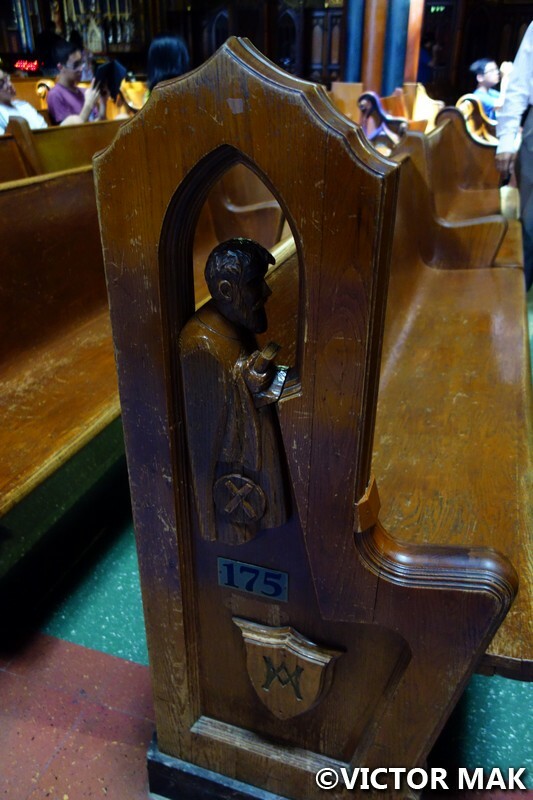 I always feel uncomfy going in a church – I don’t want to interrupt service so we creep up quietly to peek. When nothing is going on we walk in. I found out through blogging that we visit a lot of churches and they are the hardest posts for me to write. Not into the history as much. 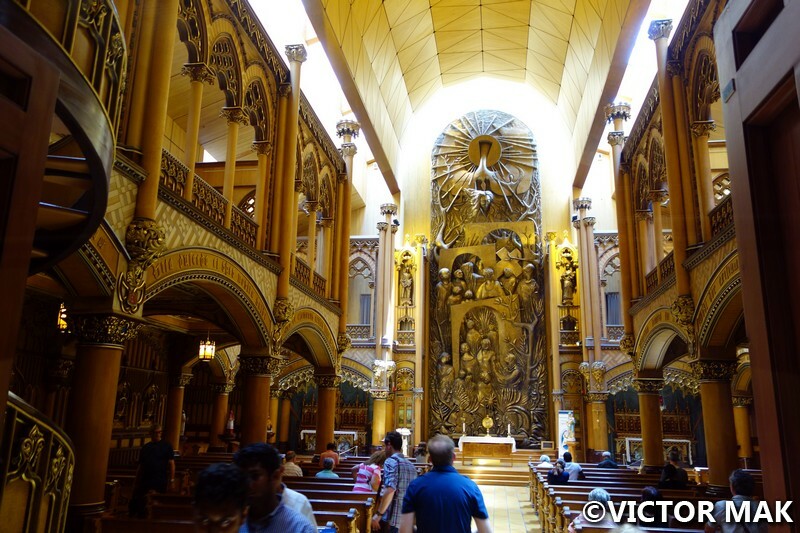 Next time we are in Montreal we would like to spend more time checking out their cathedrals. There’s another one with really great carving. It’s a fun city trip and since you guys drive, the surrounding areas are pretty. Not so easy without a car couldn’t crack it with public transport. Gorgeous photos! 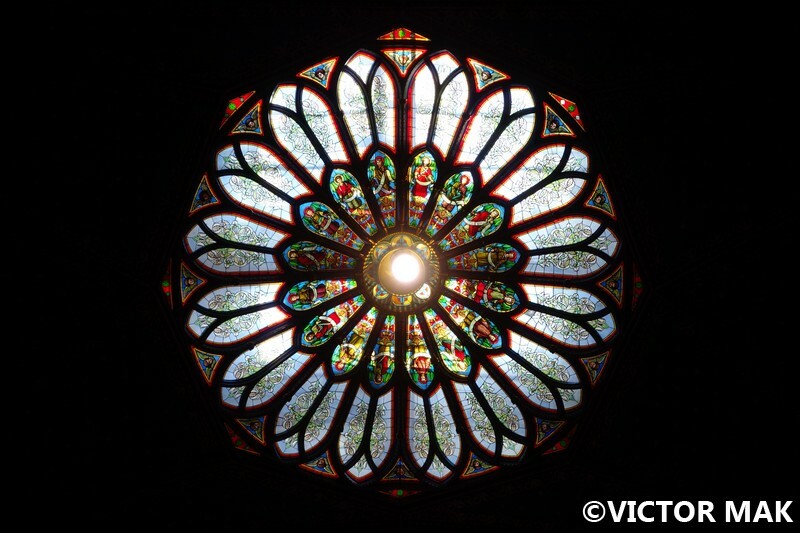 The basilica has so many details – I am sure you could visit many many times and always discover something new. The wood details are really something. I’ve never seen that before. It was a delight.